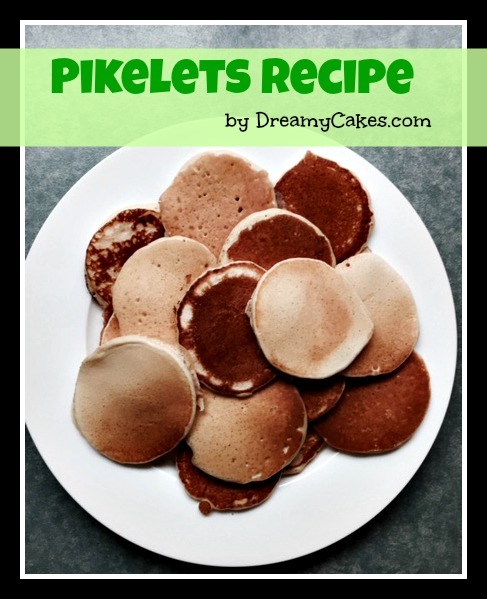 Today’s post is a favourite family recipe for Pikelets. It is super easy, cheap and FAST to make. My little boy actually did all of the work for these…except cooking them on the stove! This is such an easy recipe to make with the kids and is perfect if you are looking for some cheap party food ideas for your next kids celebration. Be sure to use a medium heat. I prefer to use a non stick frying pan and this Tefal pan is the same one I used for this recipe. Serve with butter and honeyor jam and cream for morning and afternoon teas, or with chopped up fruit, ice cream and some drizzled chocolate for an instant dessert! You may also enjoy this recipe for Chocolate Chip Cookies if you are looking for more cheap party food ideas.